Prepare ganache. 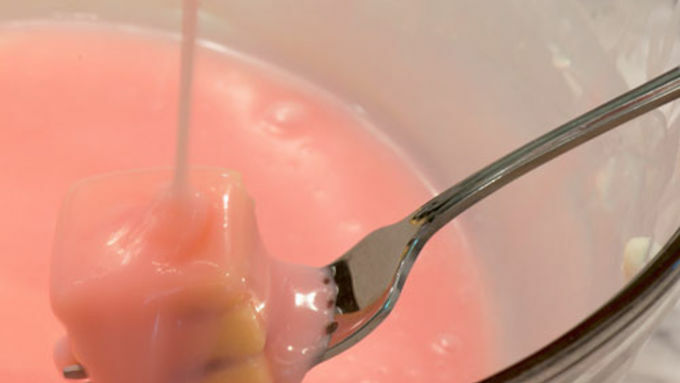 Heat cream in a double boiler. When hot, add the white chocolate. Stir until melted and shiny. Set aside to cool. Cut end pieces off the pound cake and cut into 12 equal slices - each should be about 1/4 inch thick. 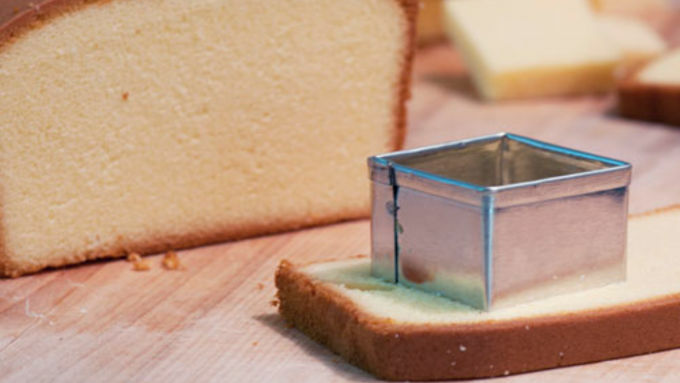 Cut shapes out, out of the pound cake slices with a 1 inch square cookie cutter. You should have 48 squares. 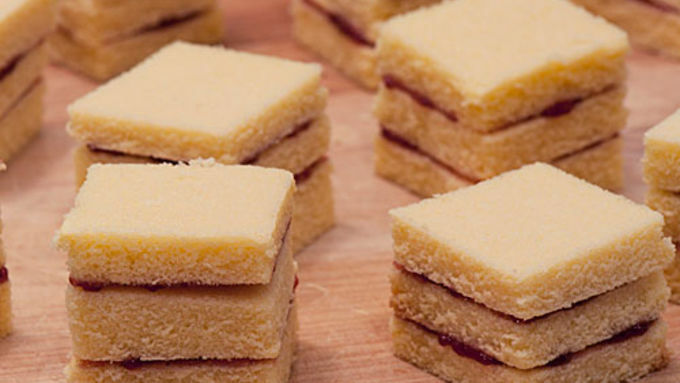 Each petit four will have three cake layers - spread a very think layer of jam between two of the layers, and top with the third. When the ganache has cooled to room temperature, tint as desired, reserving 1/4 cup for drizzling, if desired. 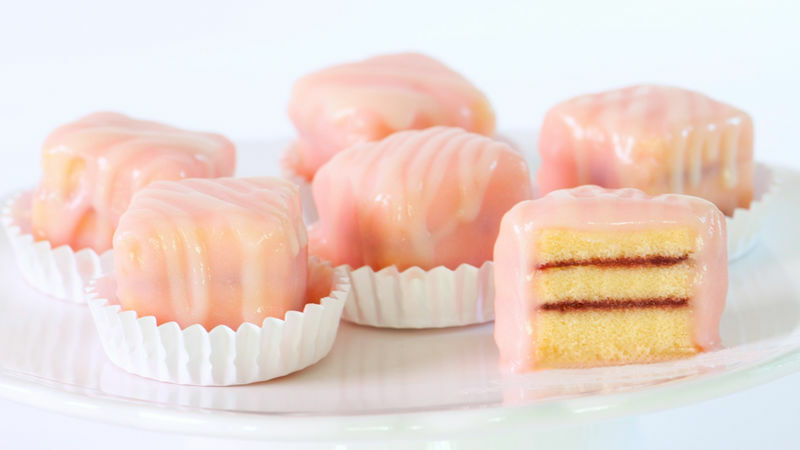 Coat each petit four with ganache. The easiest way to do this is to dip the bottom of the petit four, then place on the tines of a fork and pour the ganache over the top with a ladle. 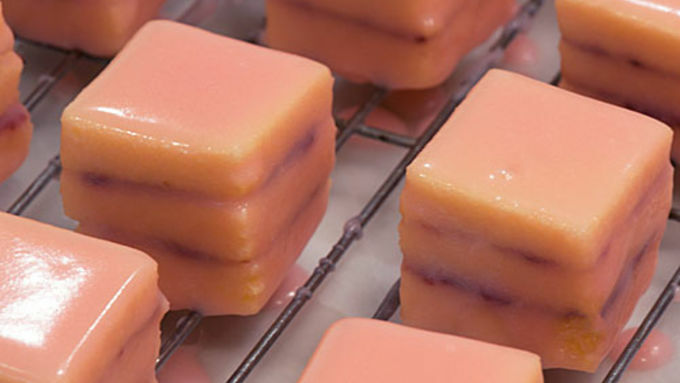 Refrigerate the petit fours until the ganache has set. Then repeat process, so each petit four has a double layer. 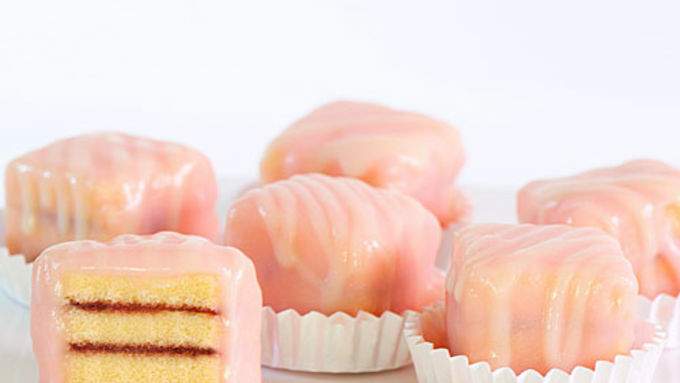 Drizzle with the untinted ganache, and refrigerate until ganache has set (1 to 2 hours). Refrigerate until about an hour before serving. So pretty and easy! Enjoy your petit fours!